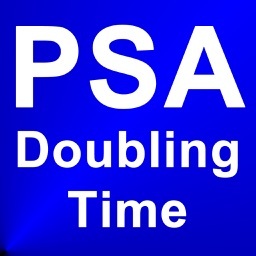 PSA doubling time is calculated using the natural log of 2 divided by the slope of the linear regression. 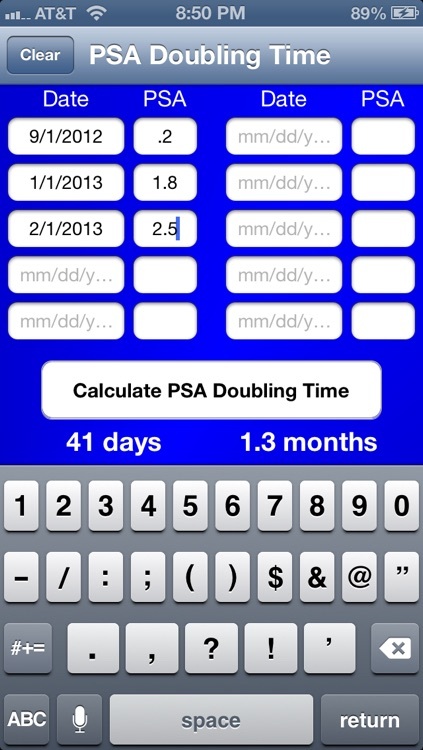 Just input some dates with corresponding PSA values and the PSA doubling time will appear. You can put 2 to 10 entries.